Click any picture for full details of the villa on the KoLanta.net villa rental website and to make your booking. Situated absolutely beachfront with a private deck and swimming pool, these villas are quiet and private with 24 hour security. 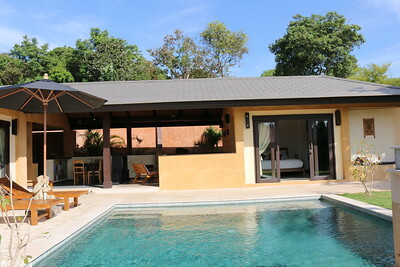 Villa Matahari is a 3 bedroom villa with a shared swimming pool located near Klong Khong beach on Koh Lanta. 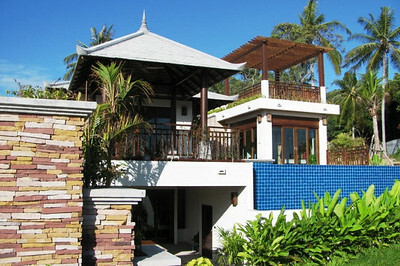 Sea Life Villa is a three bedroom villa overlooking Koh Lanta’s Long Beach. The villa has a small private pool and a spacious terrace. 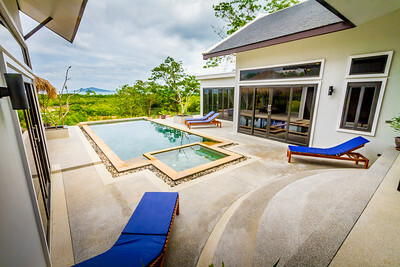 Shamballa Villa is a luxurious 3 bedroom villa with a private swimming pool and seaviews located on the secluded, less touristy east coast of Koh Lanta. Alanta Villa is a 3 bedroom villa with private pool and high surrounding wall to ensure complete privacy. It’s located in a villa complex within walking distance of Klong Khong beach and local restaurants. Which Koh Lanta Villa Would You Like To Book? Please note: High Season Prices are from November 2017 to April 2018, except 15 December to 15 January which is Peak Season and more expensive.